Tripoli (AFP) - Islamist groups seized the headquarters of the Libyan army's special forces in Libya's second city Benghazi after days of fighting, as a huge blaze raged at a fuel depot near the capital's airport. An Islamist and jihadist alliance announced the capture Tuesday of the main military base in the eastern city in a statement which was confirmed by an army official. He said jihadists of Ansar al-Sharia, blacklisted as a terrorist organisation by Washington, were among the groups. Intense fighting in Benghazi for the past week has claimed about 60 lives since Saturday, medical officials in the city said. "Special forces under the command of (Colonel) Wanis Abu Khamada withdrew after several attacks," said the army official after the biggest loss yet for the armed forces in its fight against the country's powerful militias. The special forces are one of the units of Libya's regular armed forces that support rogue Libyan general Khalifa Haftar but have not placed themselves under his command. 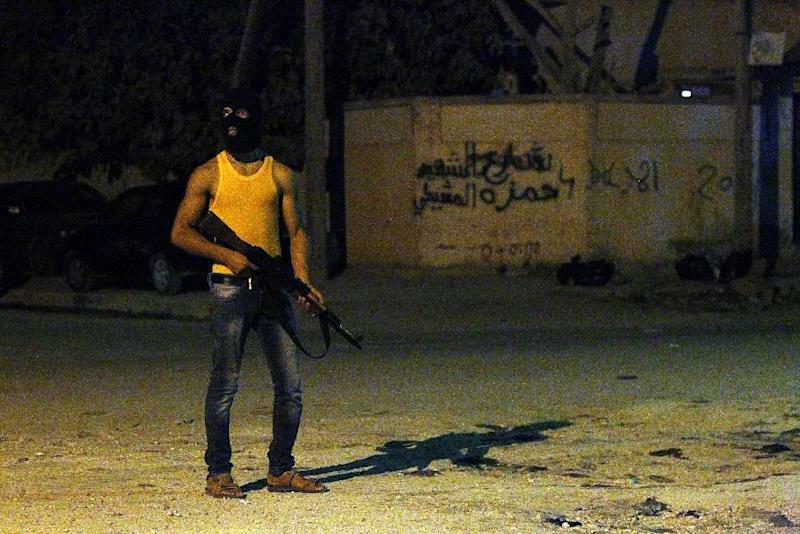 Haftar began his offensive against radical Islamist groups in Benghazi, dubbed "Operation Dignity", in mid-May. On its Facebook page Ansar al-Sharia published photos of dozens of weapons and crates of ammunition it claimed to have seized. Former deputy prime minister and newly-elected MP Mustapha Abu Shagur was meanwhile freed by his kidnappers, hours after they snatched him from his Tripoli home, his family said. The kidnapping highlighted the failure of authorities to rein in dozens of militias that sprang up during the 2011 uprising which overthrew longtime dictator Moamer Kadhafi. "Doctor Abu Shagur has been freed. He is tired but in good health," his nephew Isam al-Naass told AFP. "He was not treated badly" by his kidnappers, he added. Shagur would not talk about his ordeal or the identity of his kidnappers. Amid the increasing lawlessness and uncertainty, France, Portugal, the Netherlands, Canada and Bulgaria became the latest nations to ship out their citizens or close their embassies in Tripoli. 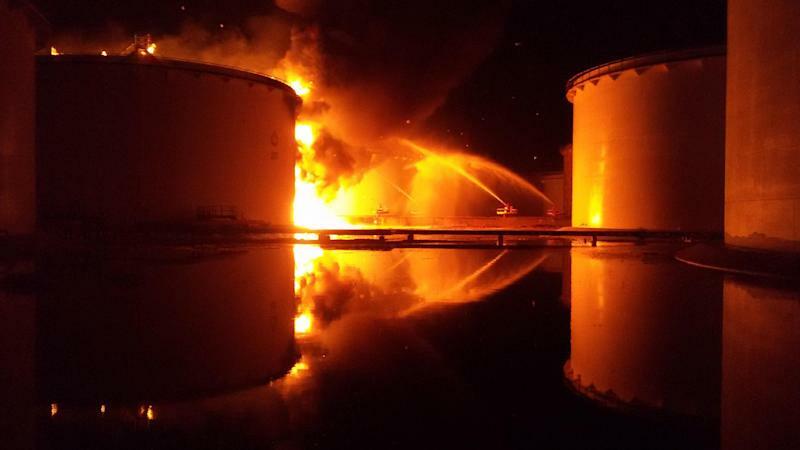 The blaze at the Tripoli fuel depot near the international airport erupted on Sunday when a rocket fired during clashes between rival militias battling for control of Tripoli international airport struck a tank containing more than six million litres (1.6 million gallons) of fuel. It then spread to another fuel storage site nearby. Authorities warned the fire could spread still wider to a natural gas reservoir, where 90 million litres are stored, amid fears a huge fireball could cause widespread carnage. While the oil burns, motorists in Tripoli were suffering severe petrol shortages, as service stations closed over fears for the safety of staff in light of the fighting. Libya has appealed for international help, but former colonial master Italy and Greece have said their involvement would be contingent on a halt to the fighting. Rome has also denied a report by Tripoli authorities that it was ready to send seven planes to combat the inferno. On Tuesday, the Libyan government again called for a ceasefire in the battle for the airport that has killed around 100 people and wounded 400 since July 13. 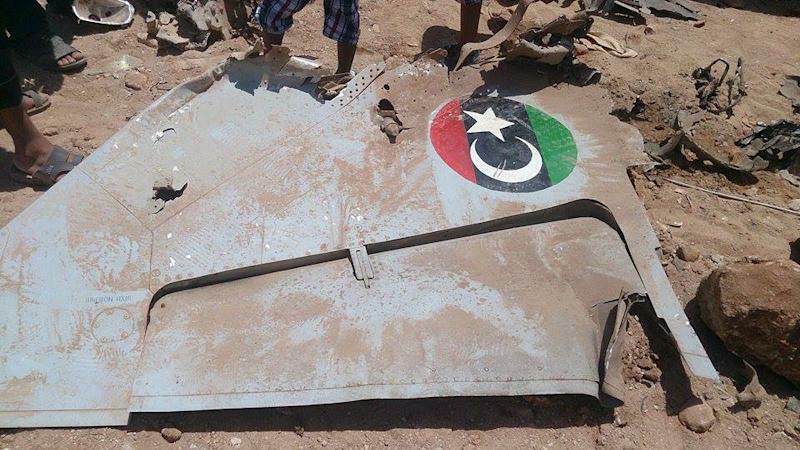 In Benghazi, General Sagr al-Jerouchi, chief of air operations for dissident ex-general Haftar, said it was not immediately clear if a warplane that crashed during fighting with Islamists had been hit by gunfire or suffered a malfunction. He said the pilot had safely ejected, which was confirmed by a witness who said he saw a parachute open before the jet crashed and exploded. The witness said the plane had just attacked Islamist positions. Two weeks of fighting around Tripoli airport and between Islamists and Haftar's forces in Benghazi have killed scores of people and prompted several countries to urge their citizens to leave Libya. Clashes raged on Monday and resumed on Tuesday afternoon after a brief lull. The clashes, the most violent since the 2011 revolt against Kadhafi, started with a July 13 assault on the airport by armed groups, mainly Islamists. The attackers are battling to flush out fellow former rebels from the hill town of Zintan, southwest of Tripoli, who have controlled the airport for the past three years.